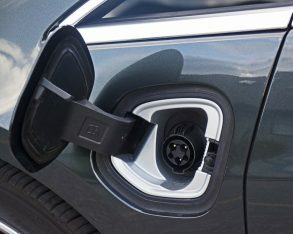 internal combustion engine, but if it was my hard earned money on the line I would likely opt for a different type of performance, the electrically propelled plug-in kind. 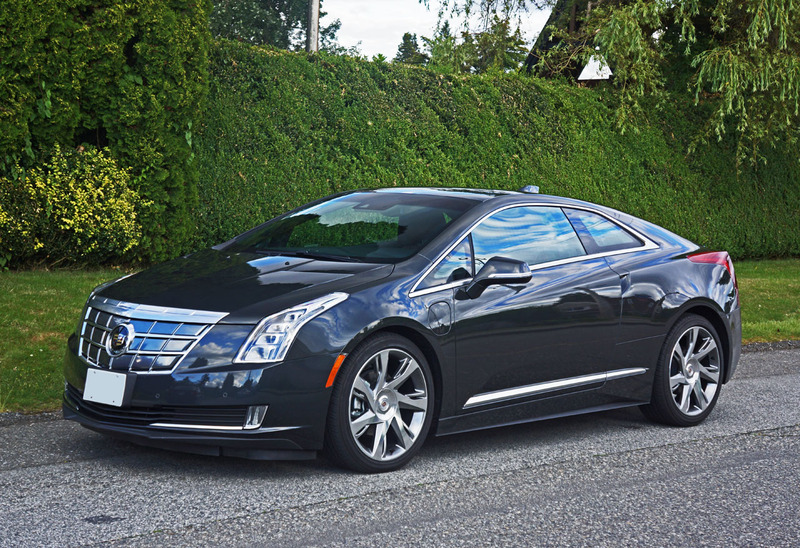 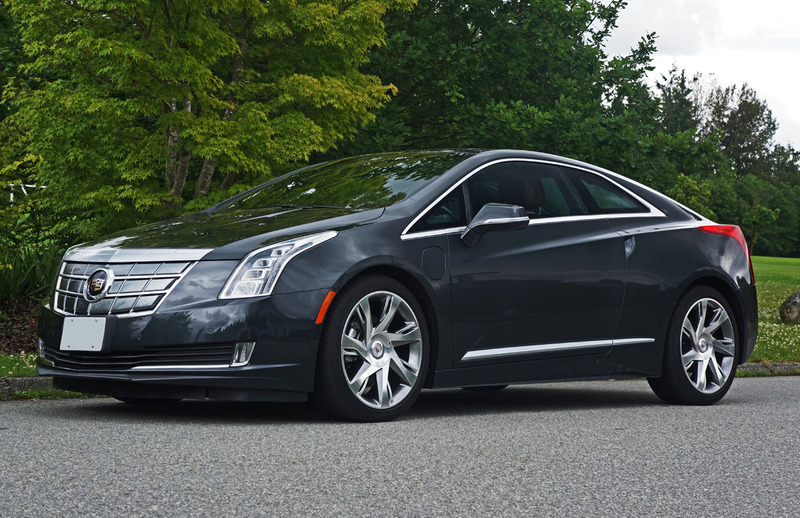 The new Cadillac ELR is the car that’s converted me to the church of electric. 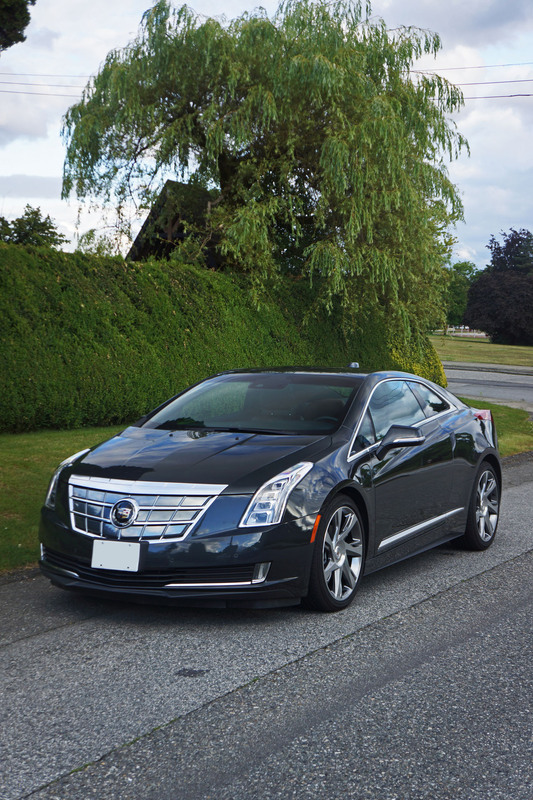 I’ve enjoyed numerous EVs and extended-range EREVs before, including the Chevy Volt that shares underpinnings with this crested wreath model, but none of them have made me aspire to own one. 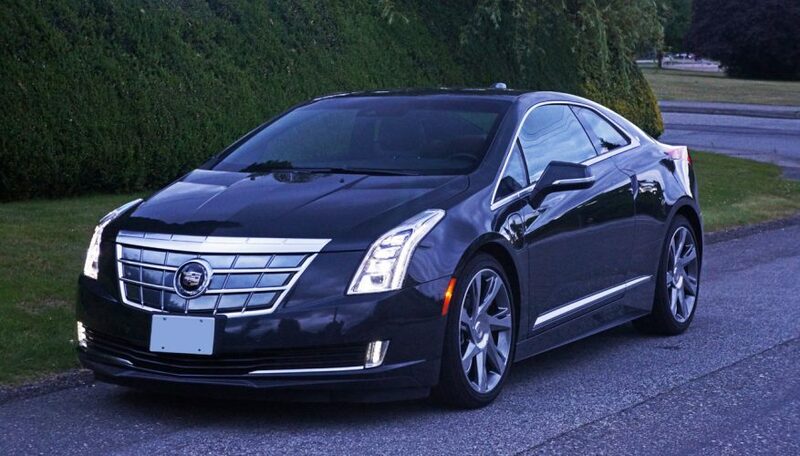 The ELR, on the other hand, is so good looking from onset, so beautifully detailed inside, and performs so well in all other respects, that I want to find a way to drive it daily. 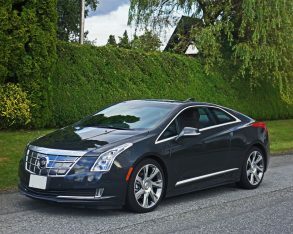 reason I won’t likely find a way to do so is it’s one key drawback, a starting price of $78,250 plus $1,800 for freight and pre-delivery prep, or more precisely the need to pay more than $80k for what is essentially a Volt in a Brioni tux. 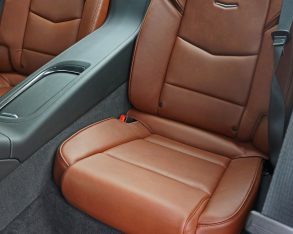 I chose to mention the Rome-based fashion house instead of say, Piacenza-born Giorgio Armani, because Brioni charges upwards of $40k for one of their best-made suits, whereas Armani’s finest are a tenth the price. 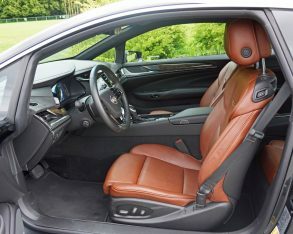 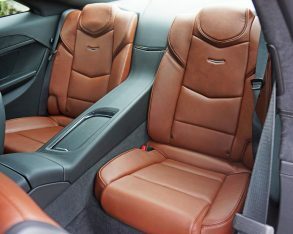 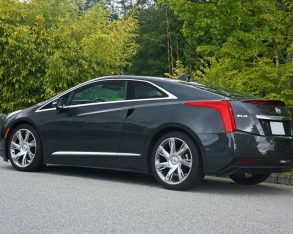 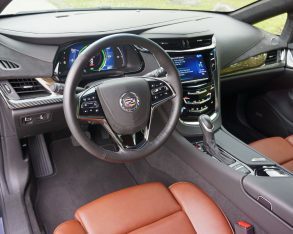 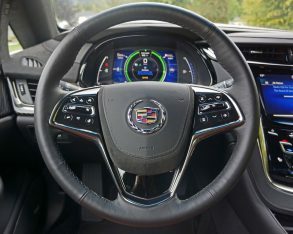 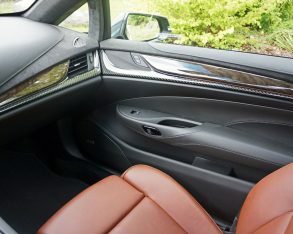 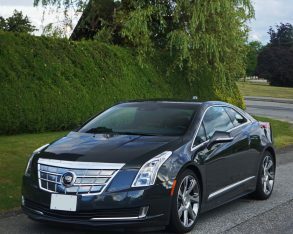 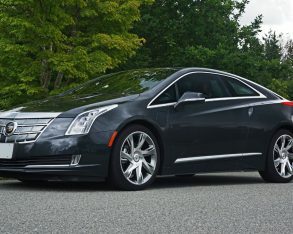 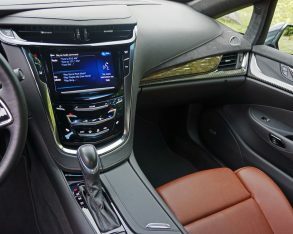 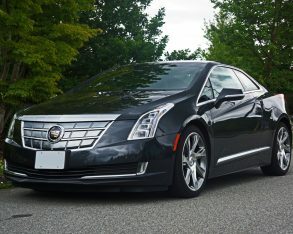 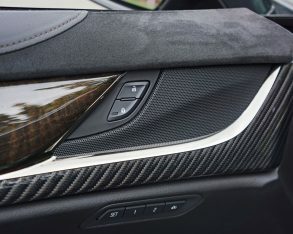 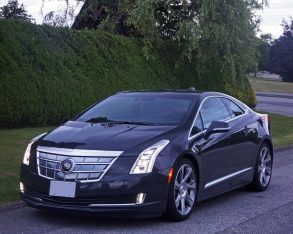 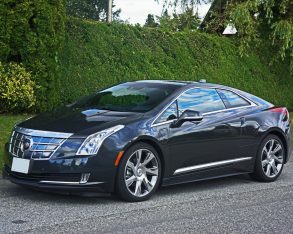 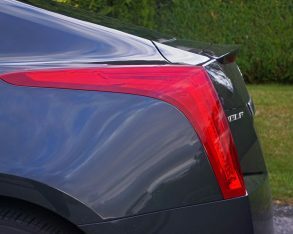 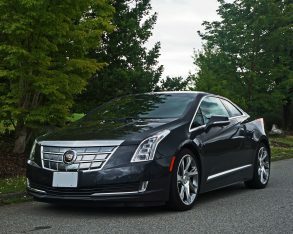 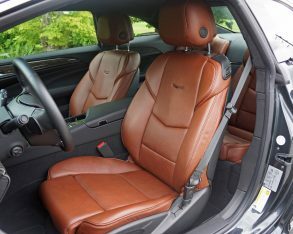 Comparatively, Cadillac is charging the rarified few who step up to purchase an ELR around $38,000 overtop the already pricy full-loaded Volt, which means you’d better be impressed with its minimal power upgrade, improved handling, thoroughly revamped interior and low-slung concept car styling. 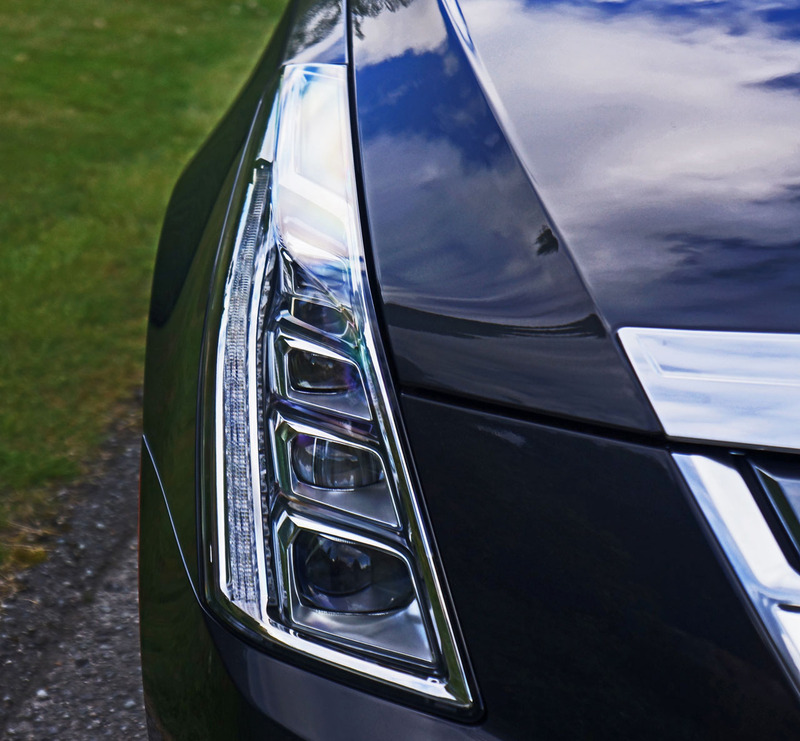 else on the road, the ELR shows a continuity of design that’s instantly classic from front to back, as if it has always been here and will never go away. 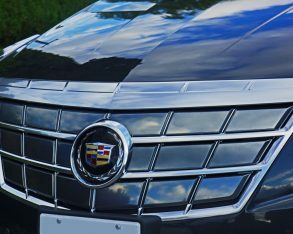 Of course, we’re talking about a Cadillac and more so a GM product, and they haven’t exactly been patient with slow sellers over the years. 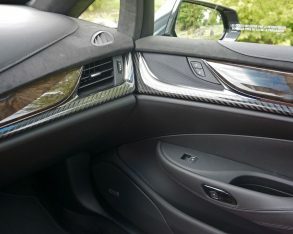 Remember the Allanté? 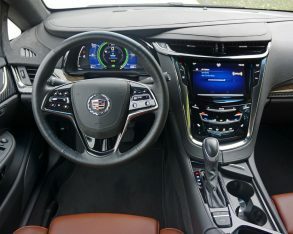 When Cadillac finally got it right by upping performance with its Northstar V8 they dropped it. 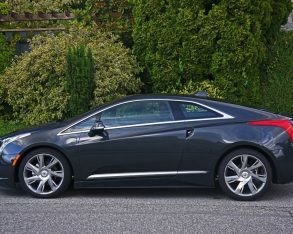 And what ever happened to the stunning XLR and its slick retractable aluminum hardtop that came along 10 years later? 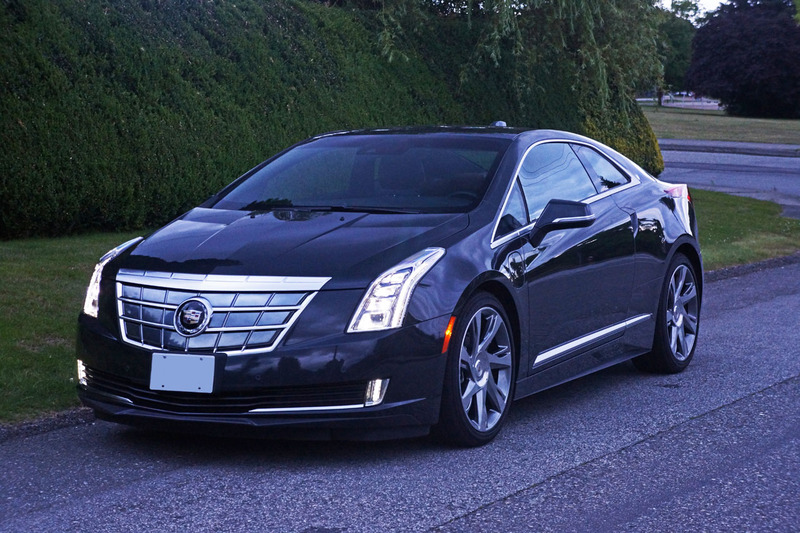 In XLR-V trim is was an elegant yet powerful sports car, yet after six years both versions disappeared. 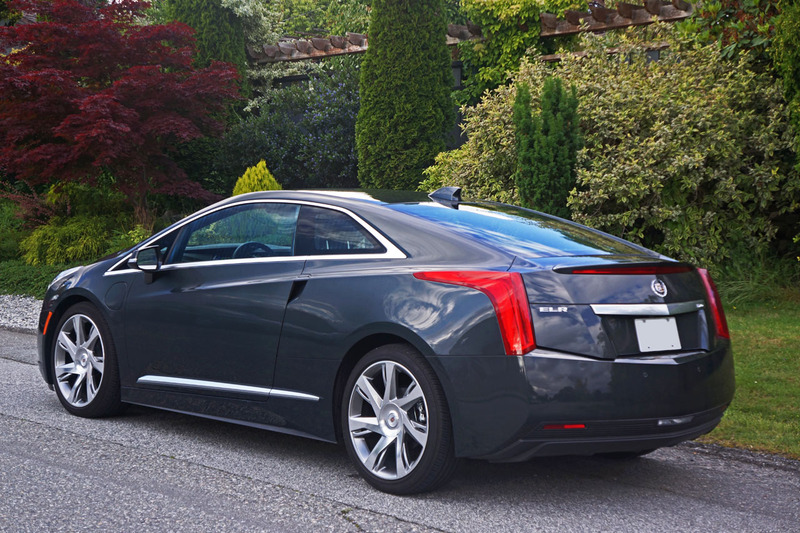 Considering that these sports models sold much better in their heydays than the ELR does now, here’s hoping that this new car’s environmental halo effect is enough of a bonus to keep it in Cadillac’s ranks. 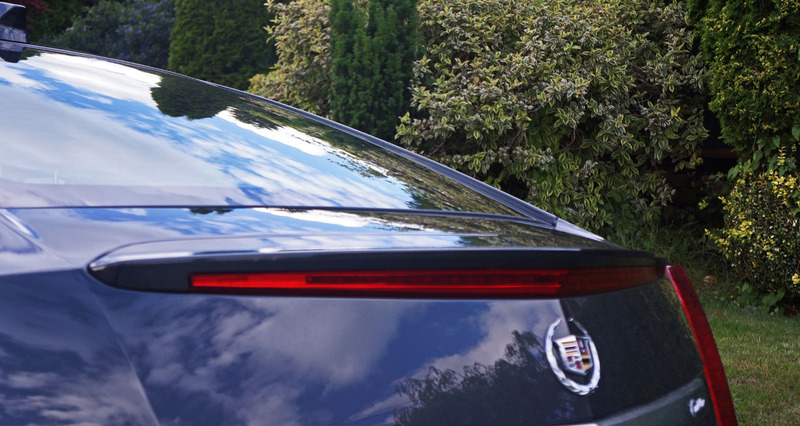 surpassing most anything offered by its German and even British premium brand competitors. 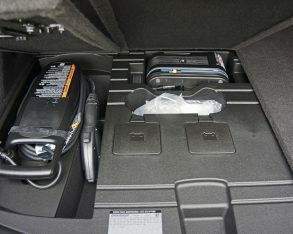 Likewise its electronics are superb. 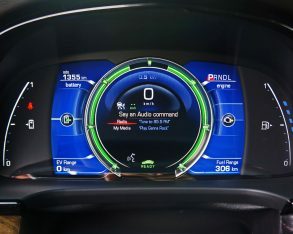 The primary gauge package is a large, colourful digital display that offers more information than you’ll likely ever need to use, albeit in a clear and easy to understand layout. 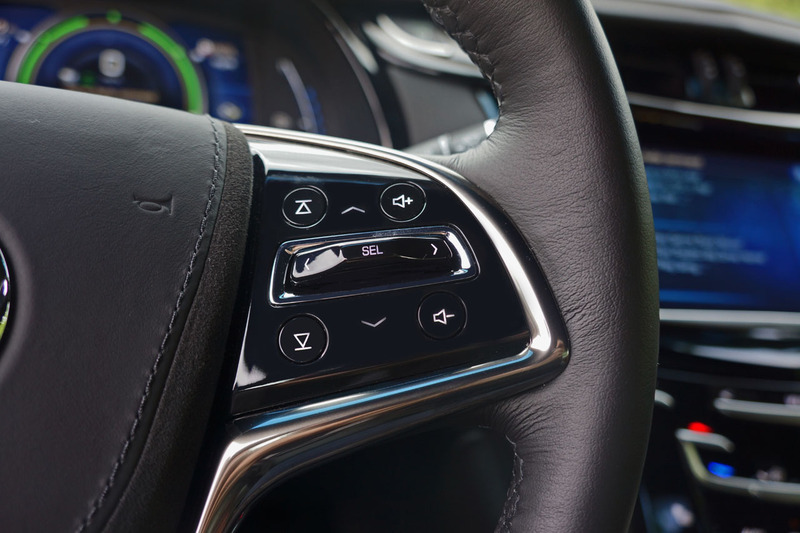 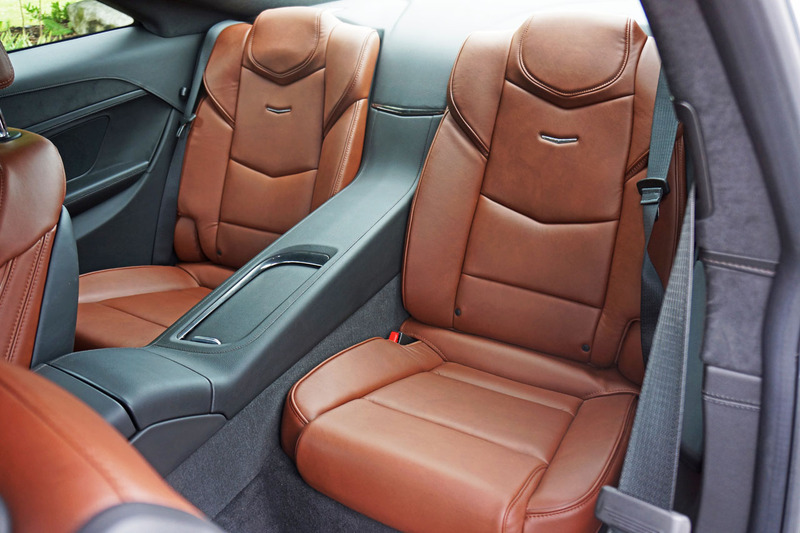 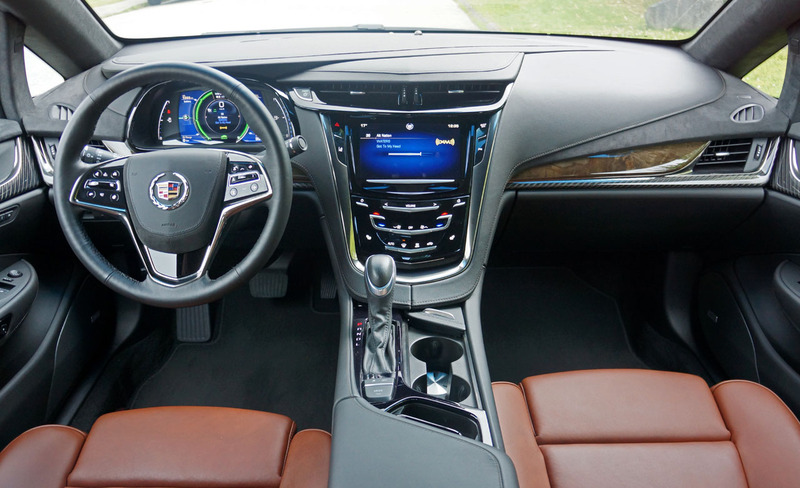 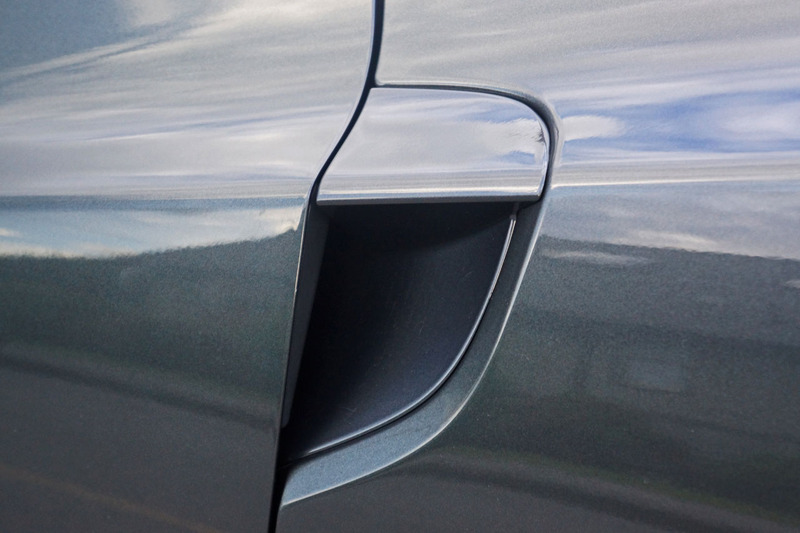 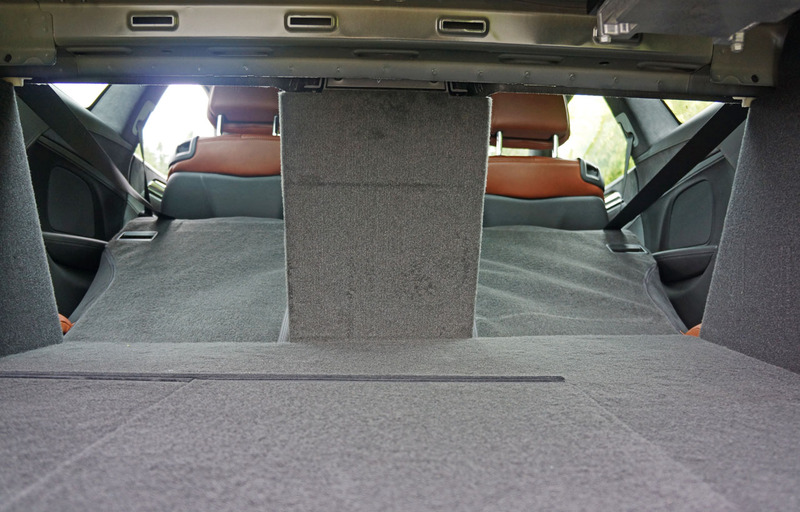 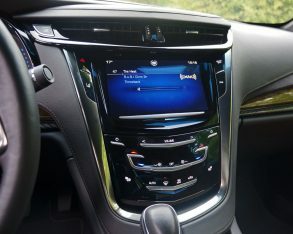 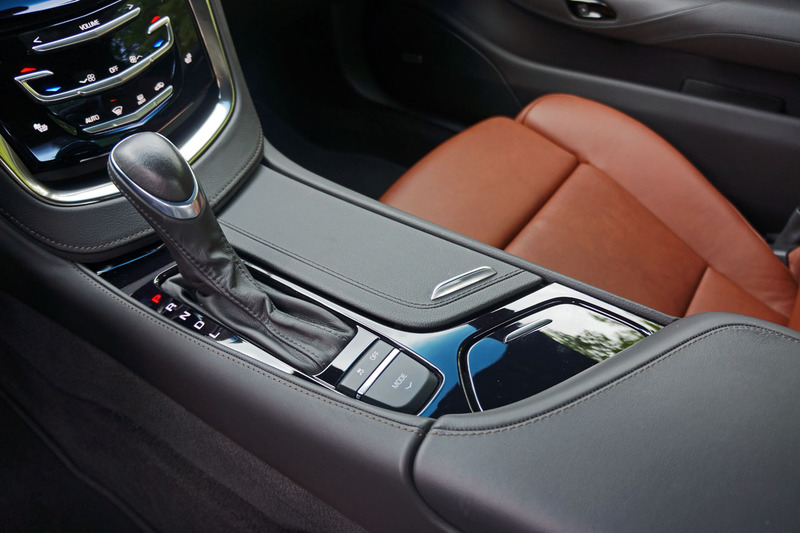 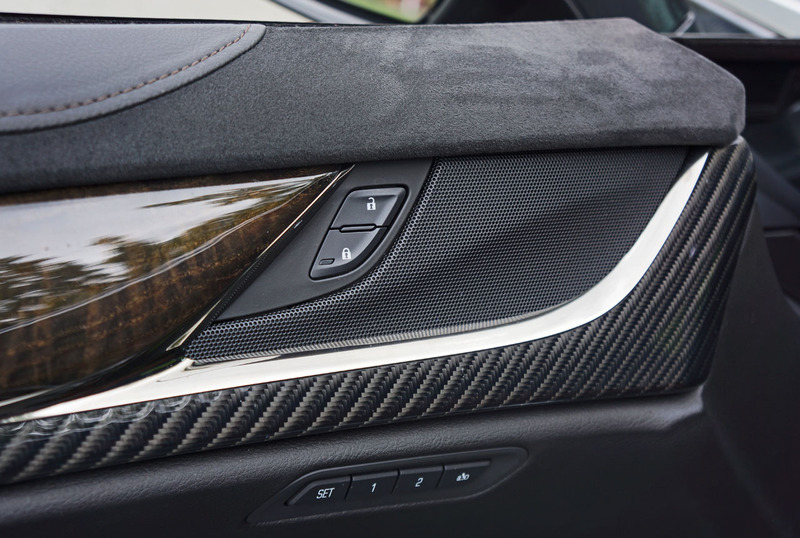 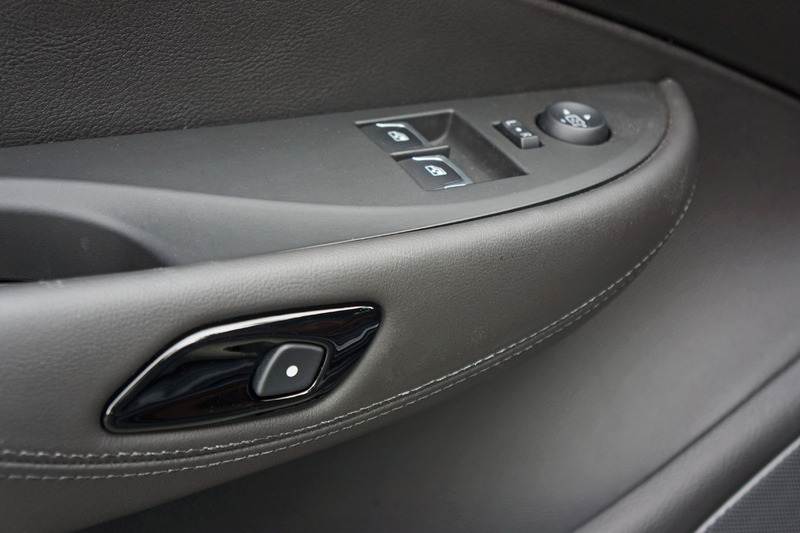 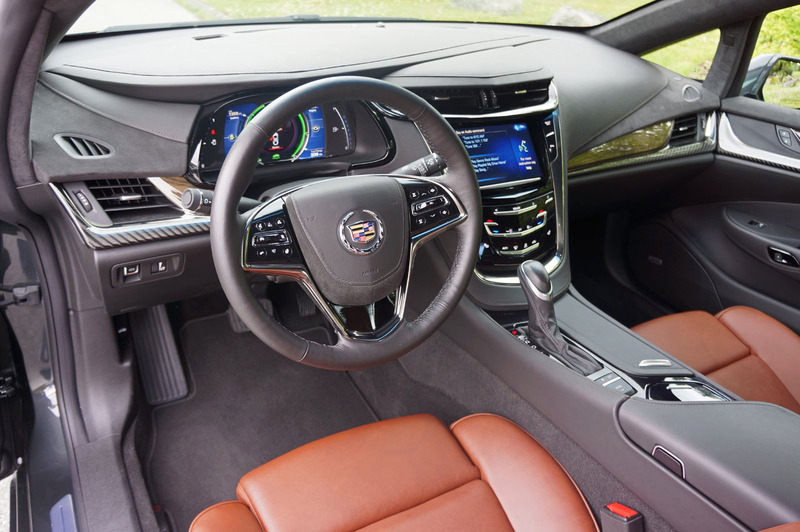 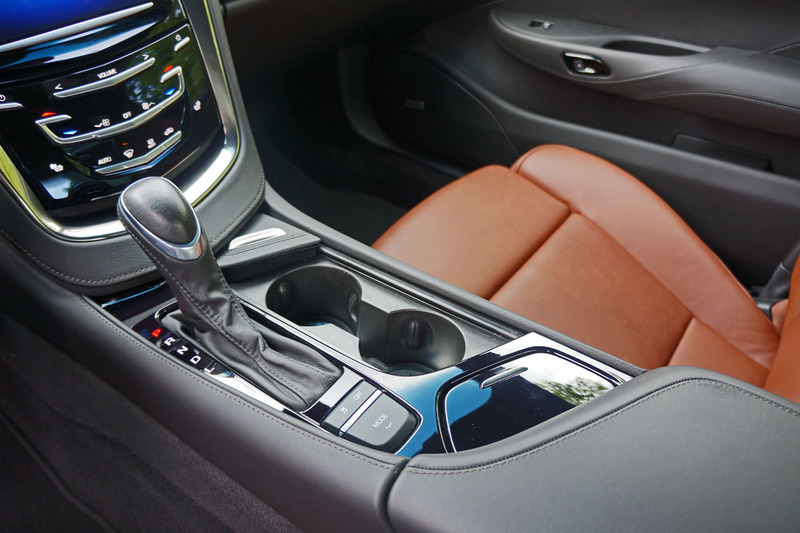 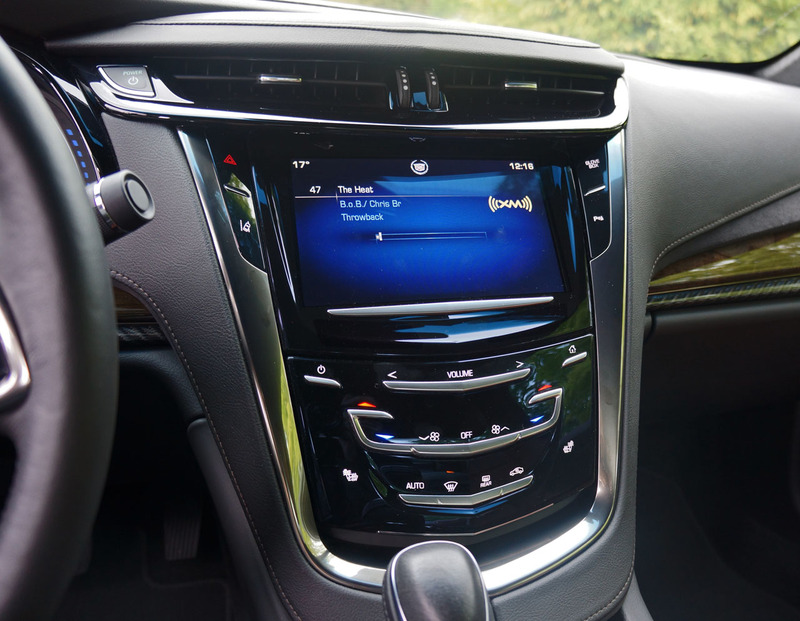 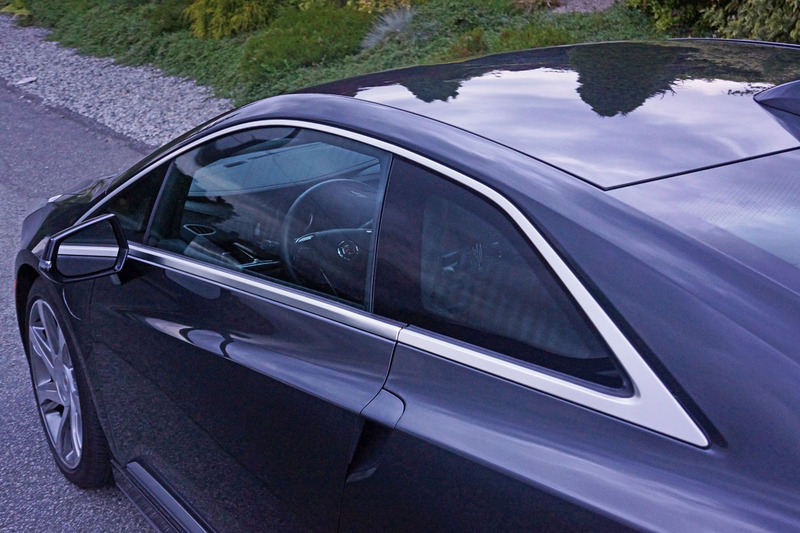 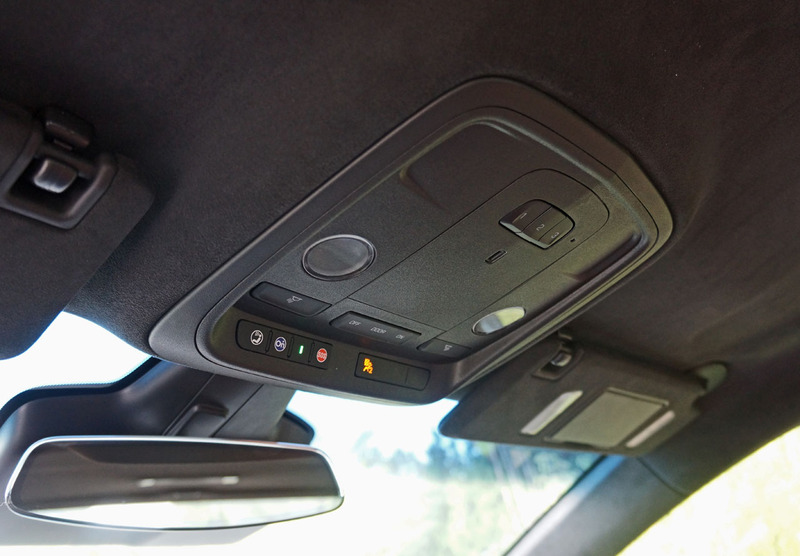 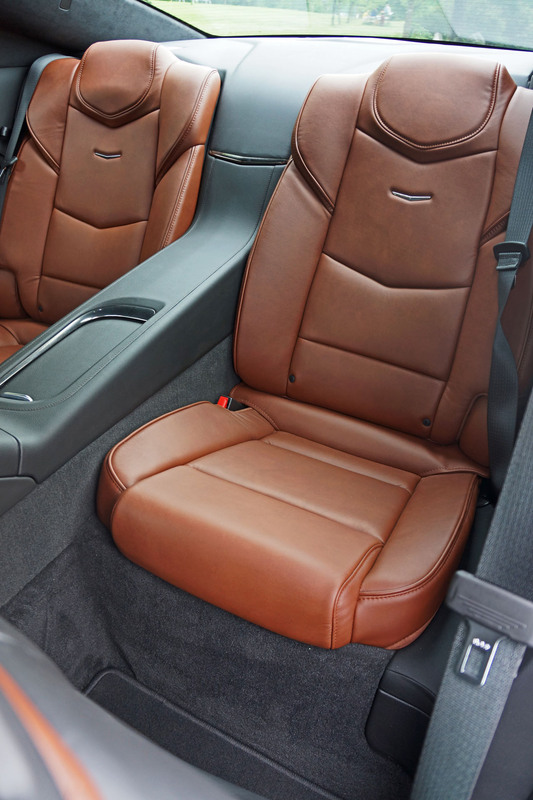 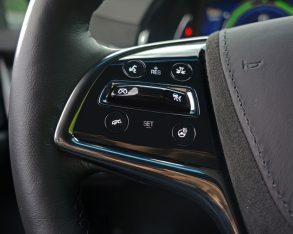 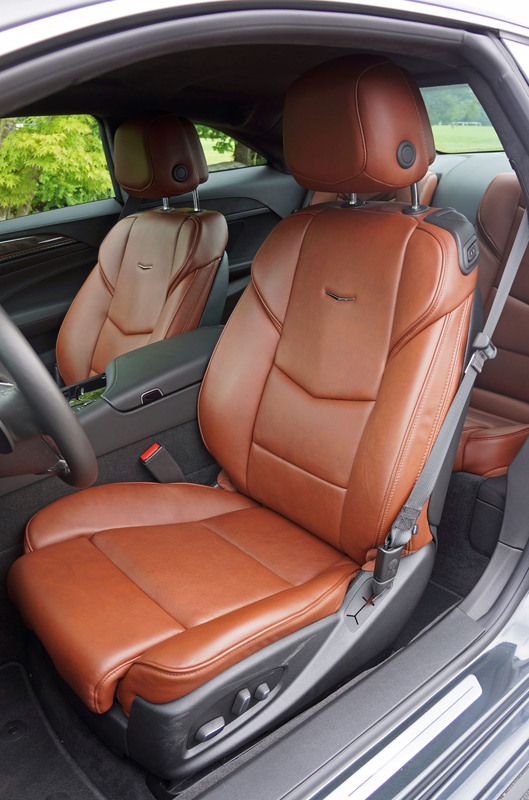 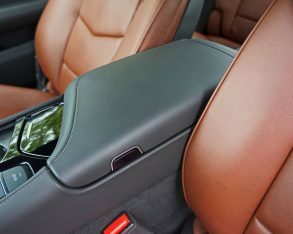 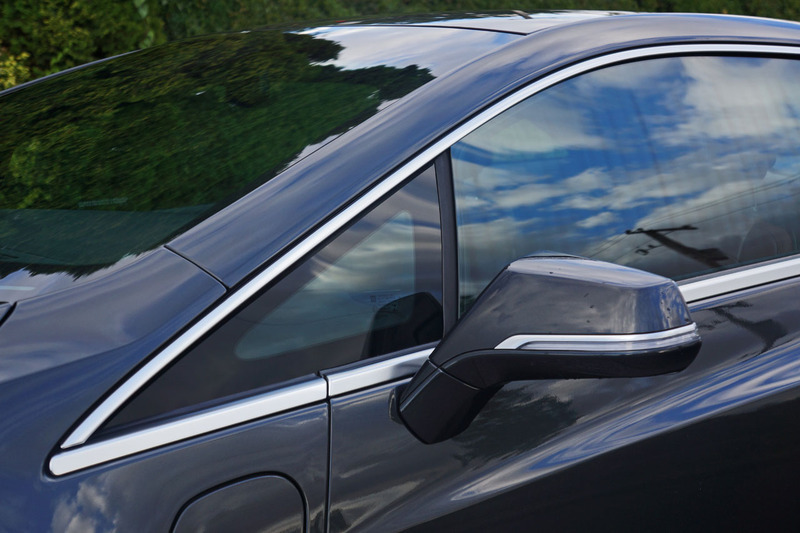 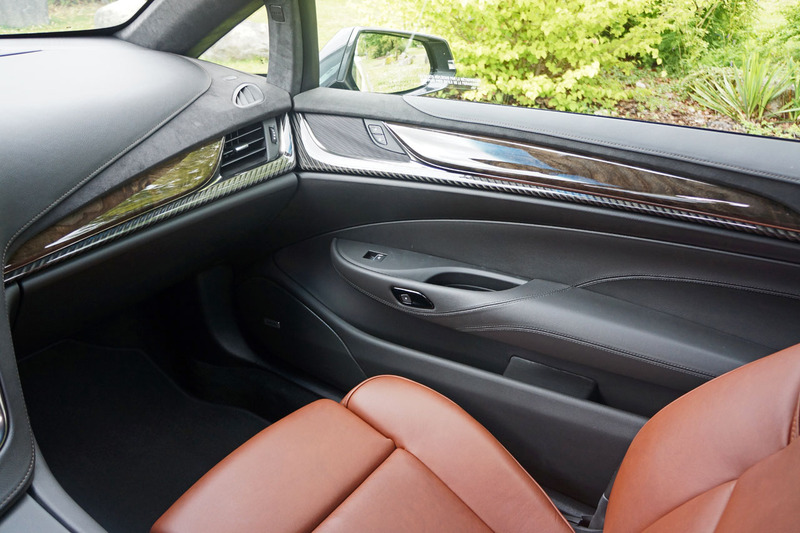 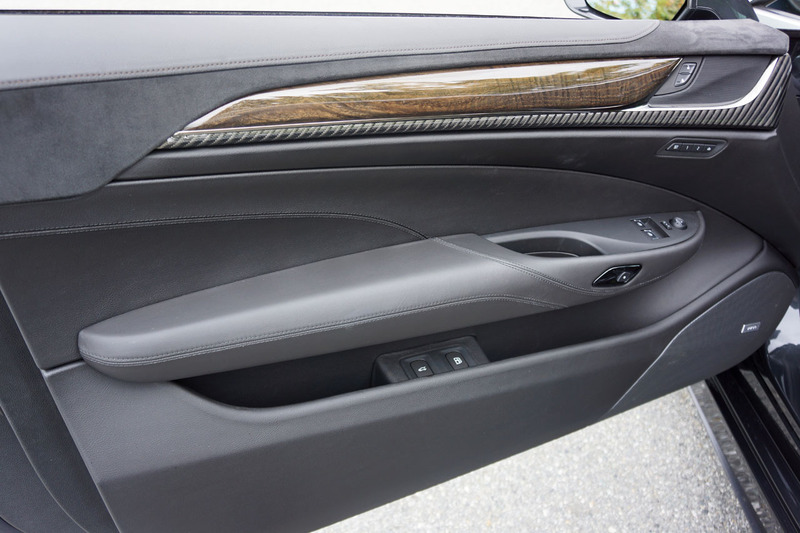 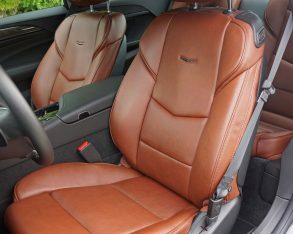 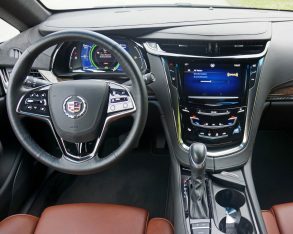 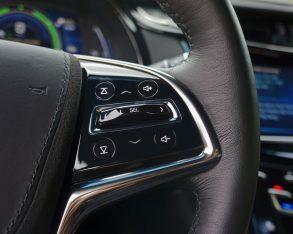 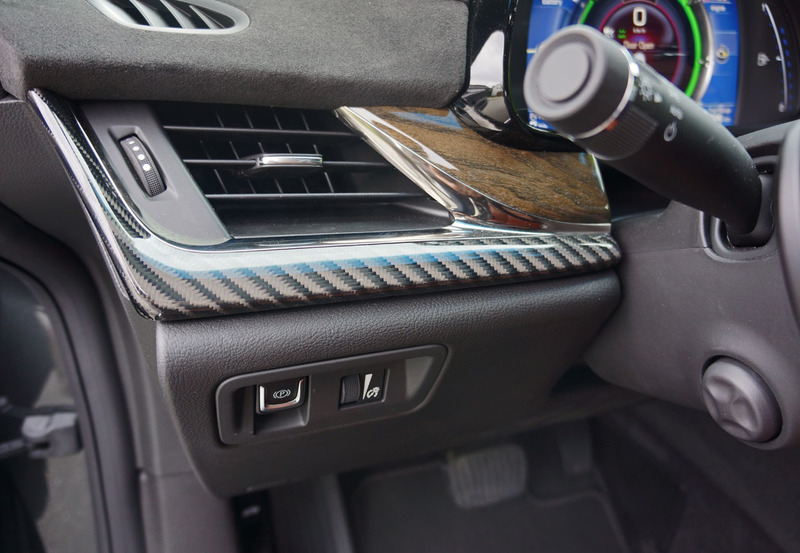 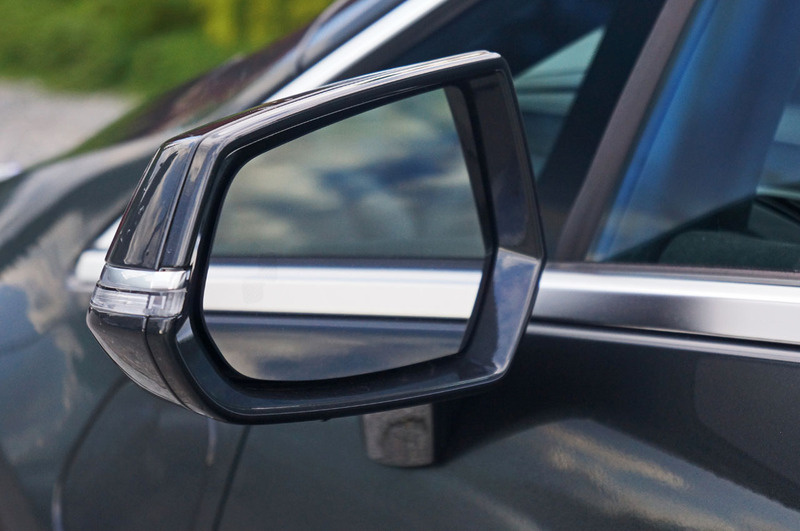 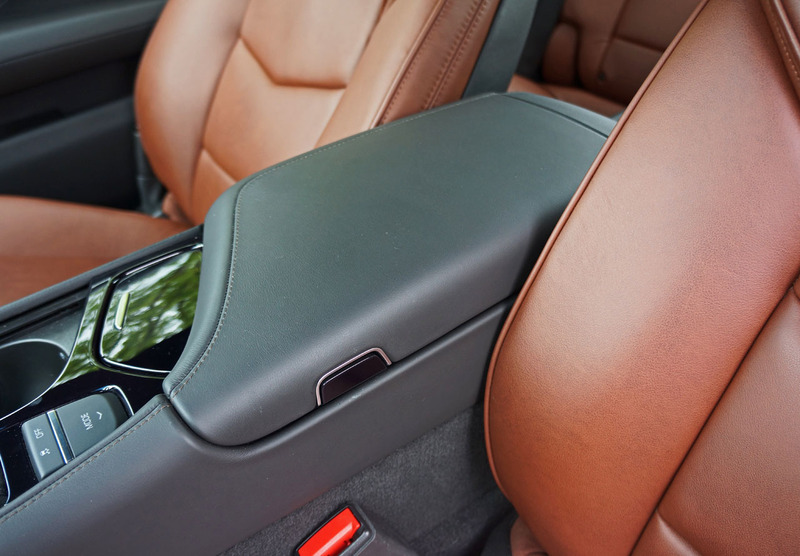 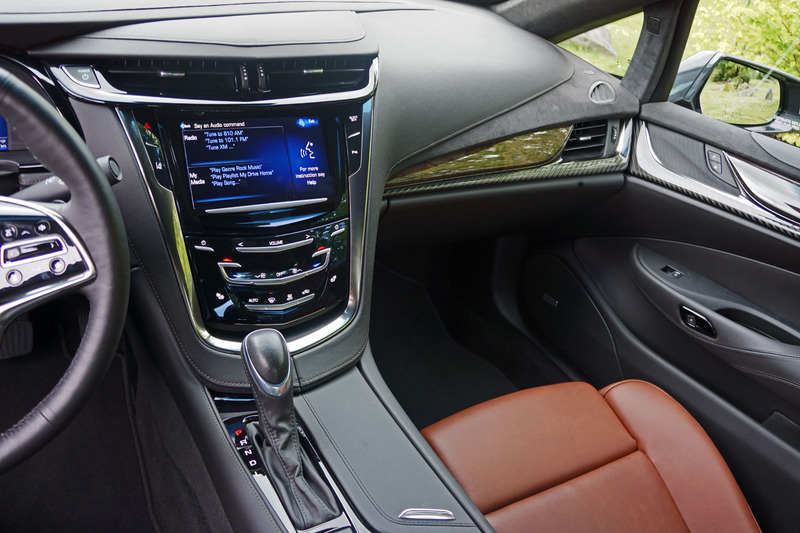 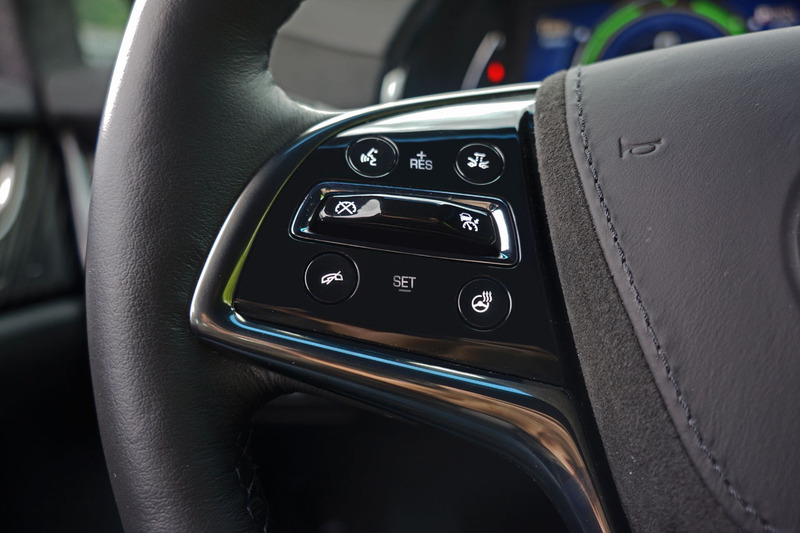 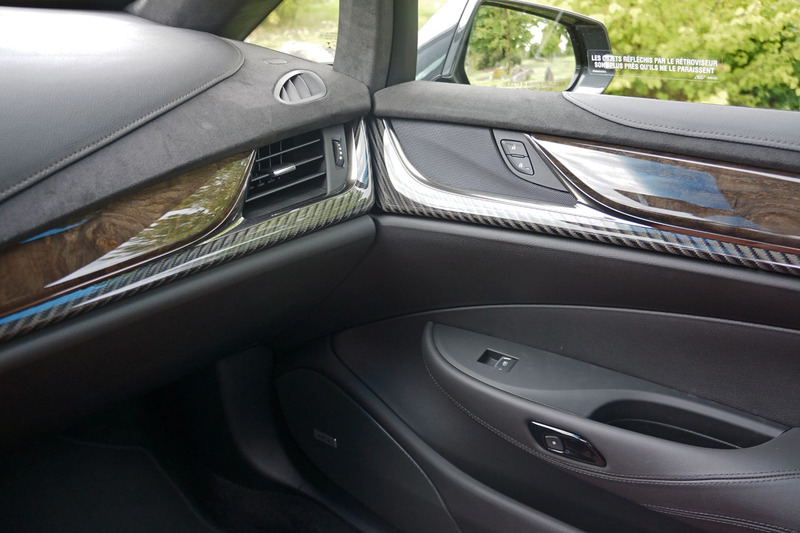 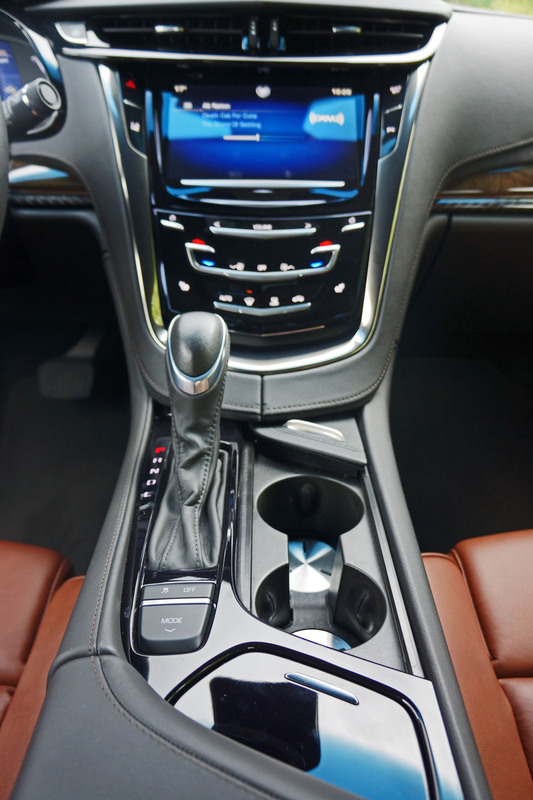 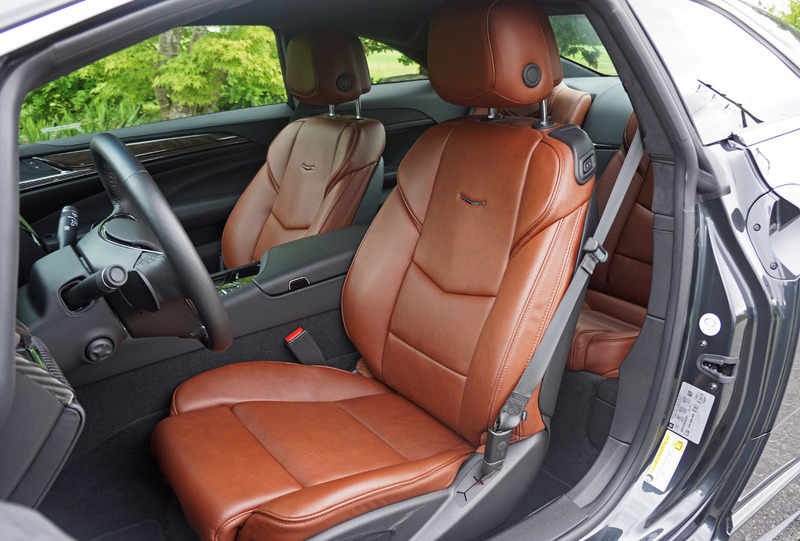 Cadillac’s CUE infotainment system is also leading edge, and is similarly user-friendly. 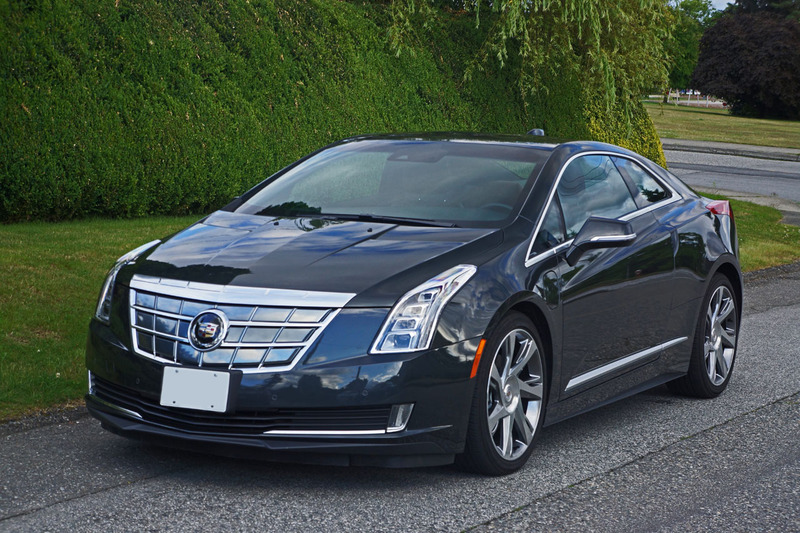 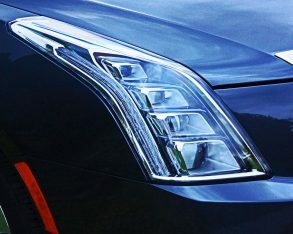 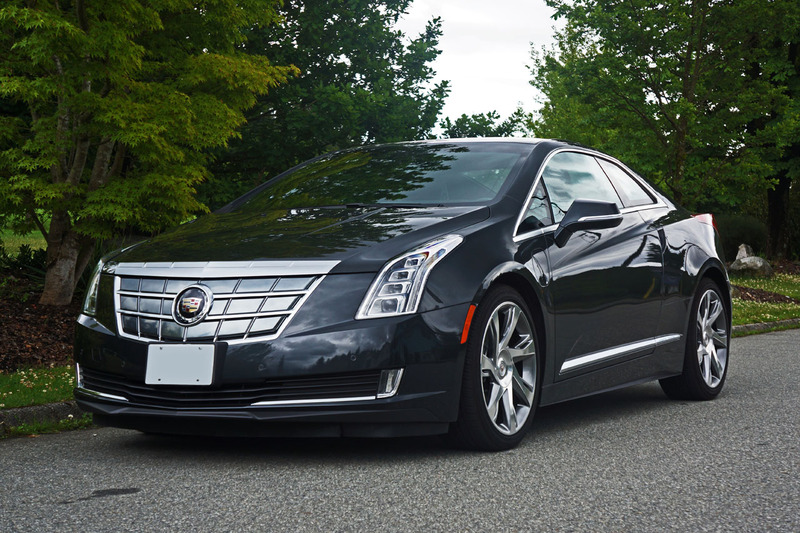 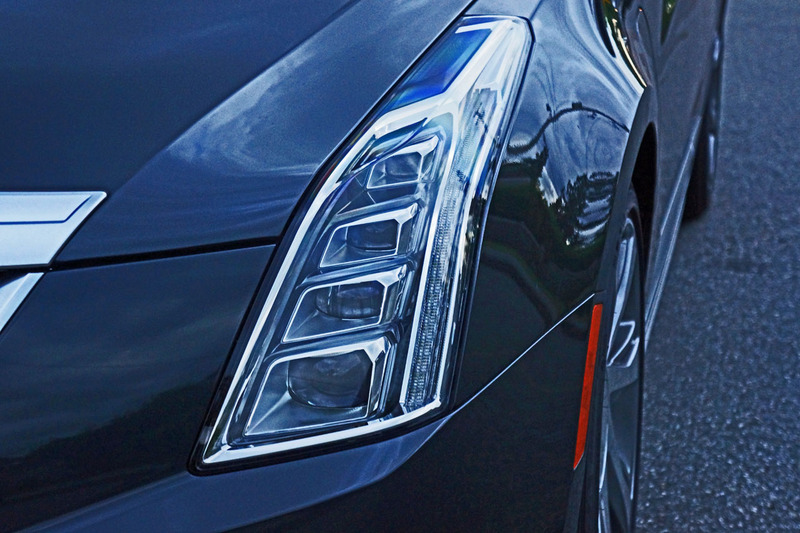 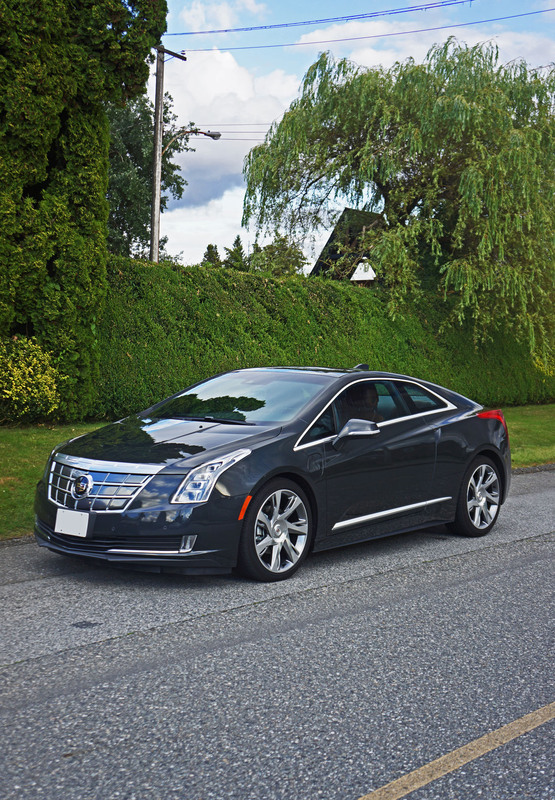 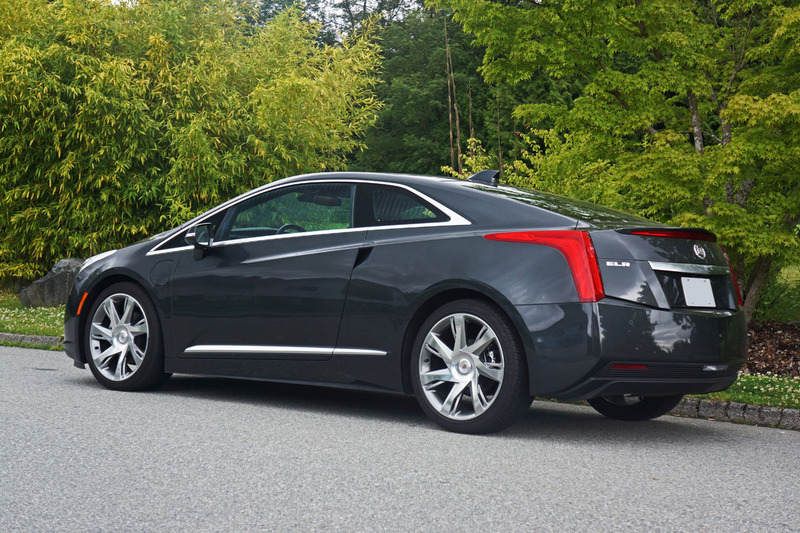 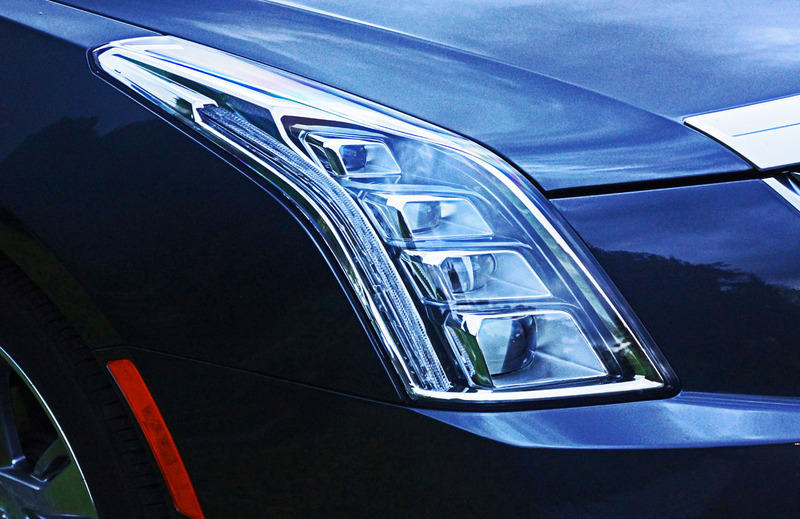 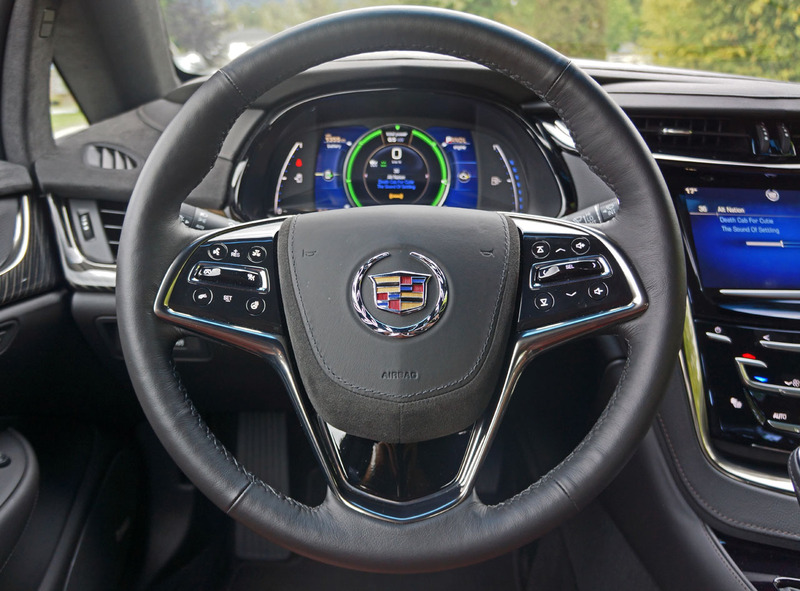 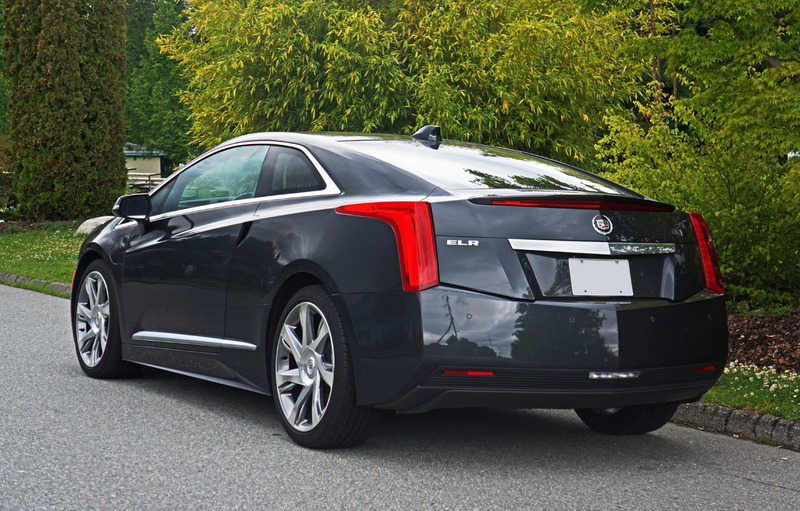 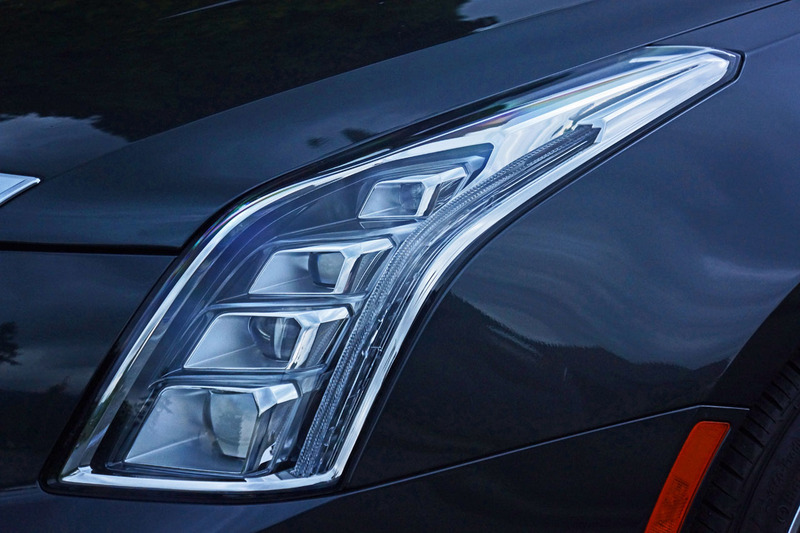 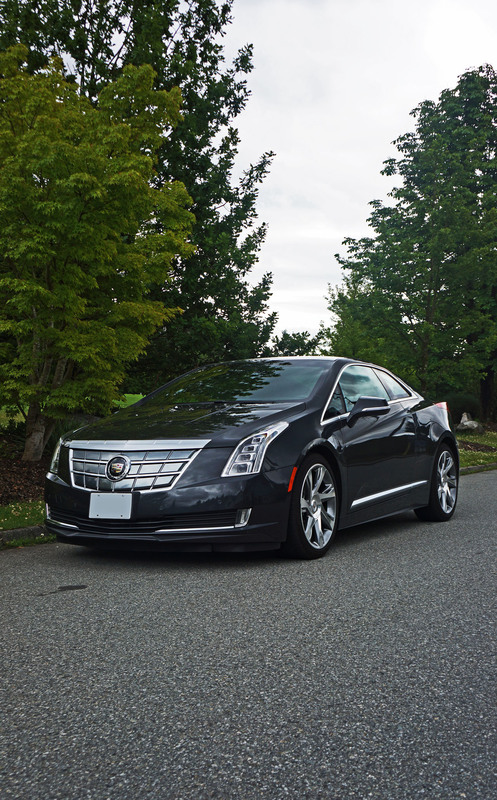 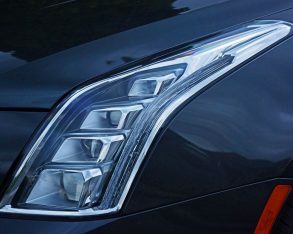 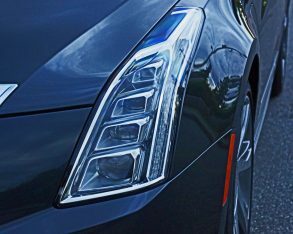 Bright graphics with excellent clarity are now a Cadillac trademark, the brand and this ELR leaving nothing on the table when it comes to top-tier technology. 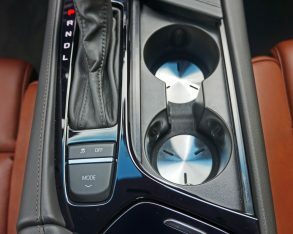 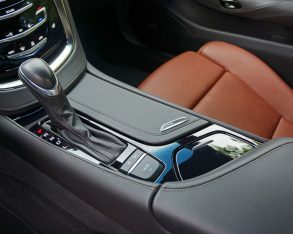 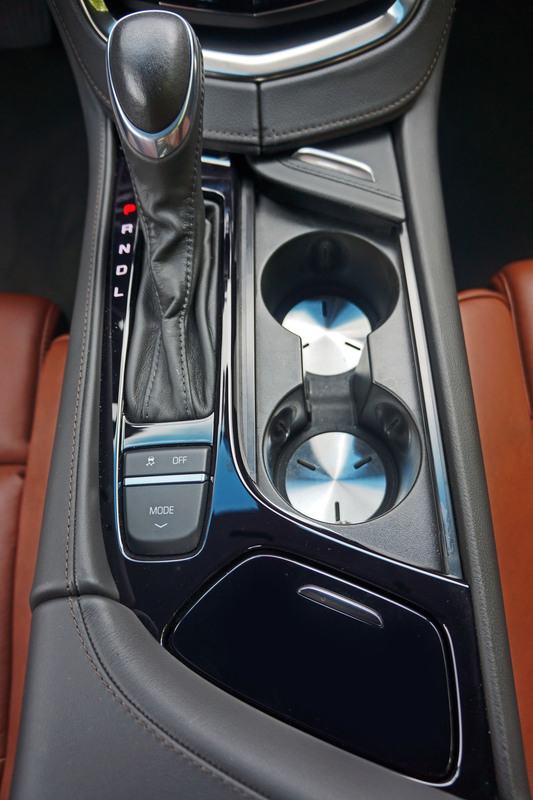 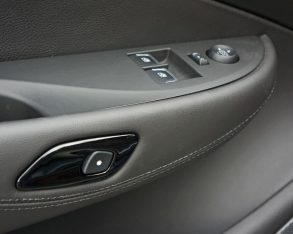 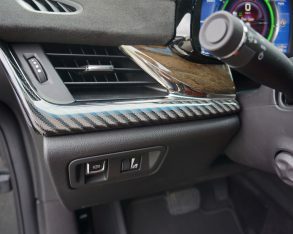 Even the cupholders on the centre console feature a powered lid to up the car’s wow factor, while the exterior and interior “door handles” are mere pulls (cutouts outside and indentations on the armrests inside) next to electric buttons that pop each door open when pressed; another reminder of that wonderful XLR I mentioned earlier. 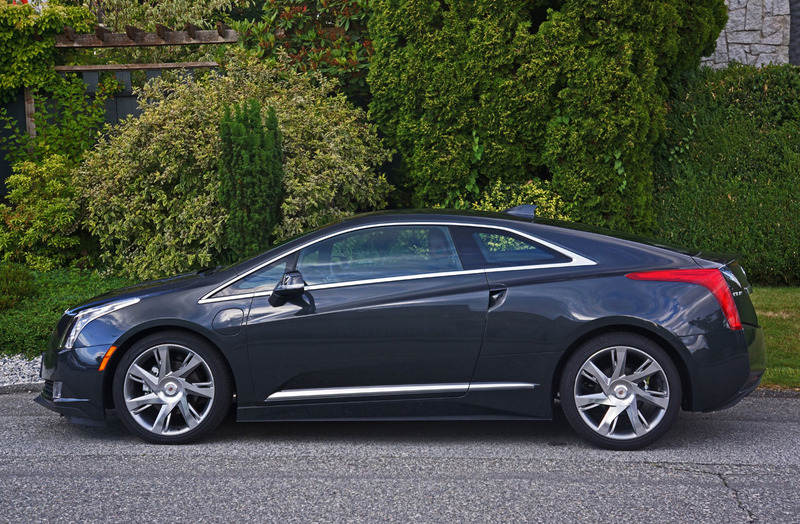 ELR, and more accommodating sport coupe concepts like the recently shown Elmiraj, gives me great hope for the Cadillac brand returning to its “standard of the world” roots. 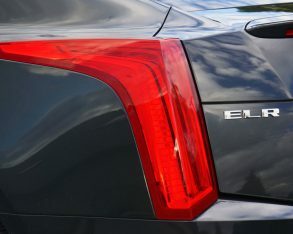 Once a marque that rivaled Rolls-Royce, Cadillac became a badge-engineered branding exercise through the latter half of the 20th century, but despite many of its cars and SUVs riding on the backs of lesser Chevrolet models, GM has managed to differentiate crested wreath models enough to claim true premium status, unlike another American-made “premium” brand. 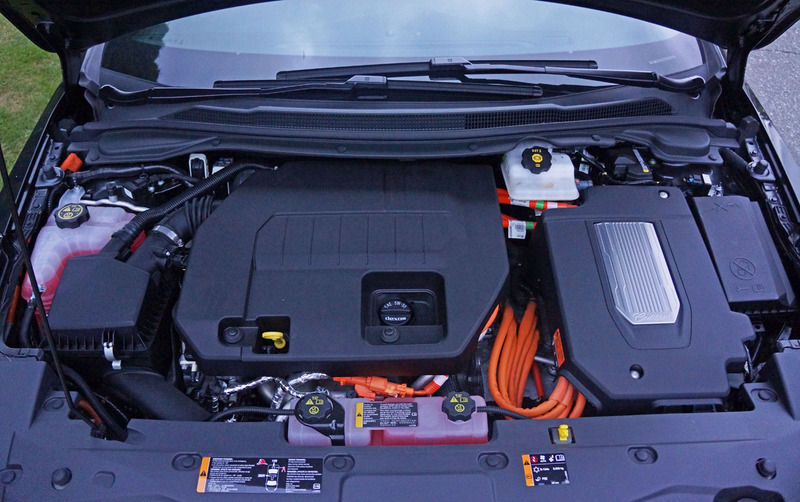 295 lb-ft of torque, which is 8 horsepower (4kW) and 22 lb-ft of torque richer than the bowtie badged version for a little more jump off the line. 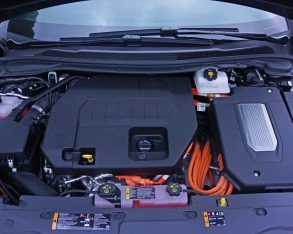 Both cars use a 74 hp (55kW) electric motor as a generator, while the gasoline range extender is a plebeian 83-horsepower 1.4-litre EcoTec four-cylinder with variable valve timing. 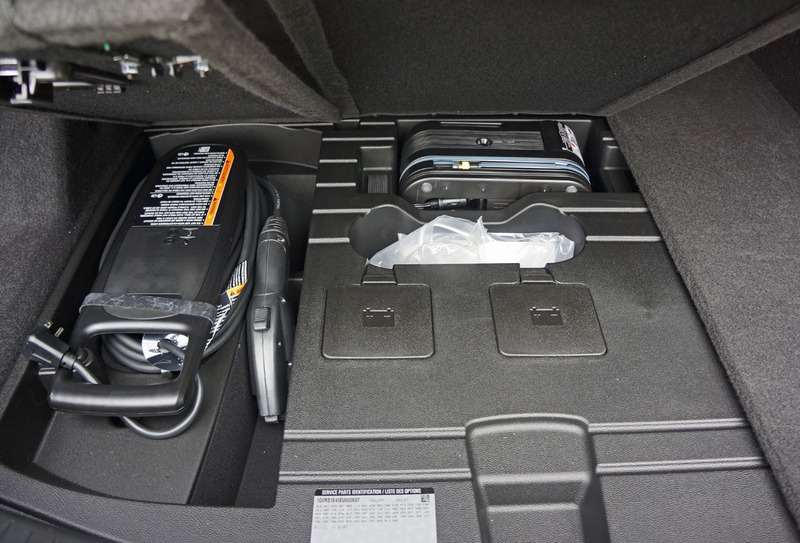 The motive battery is a 16.5-kWh lithium-ion unit, featuring liquid thermal management with active control. 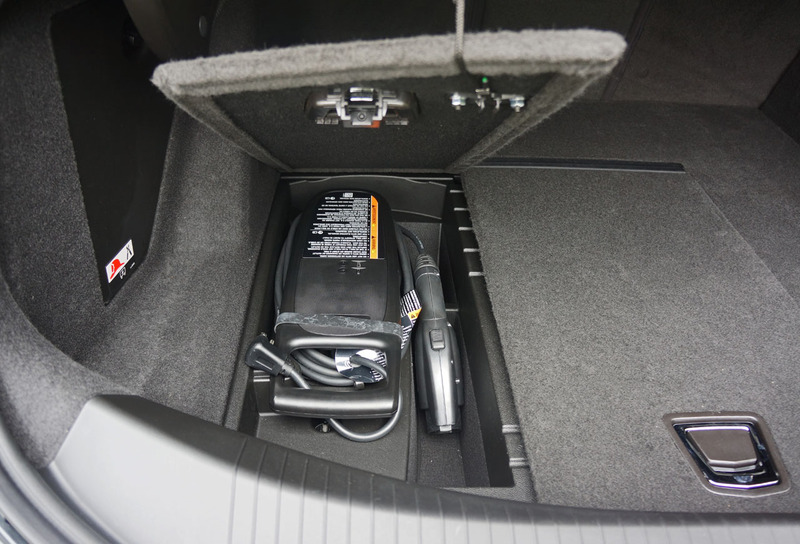 It requires approximately five hours to recharge on a 240-volt outlet or upwards of 18 hours on a regular 120-volt household socket. 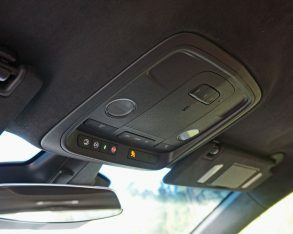 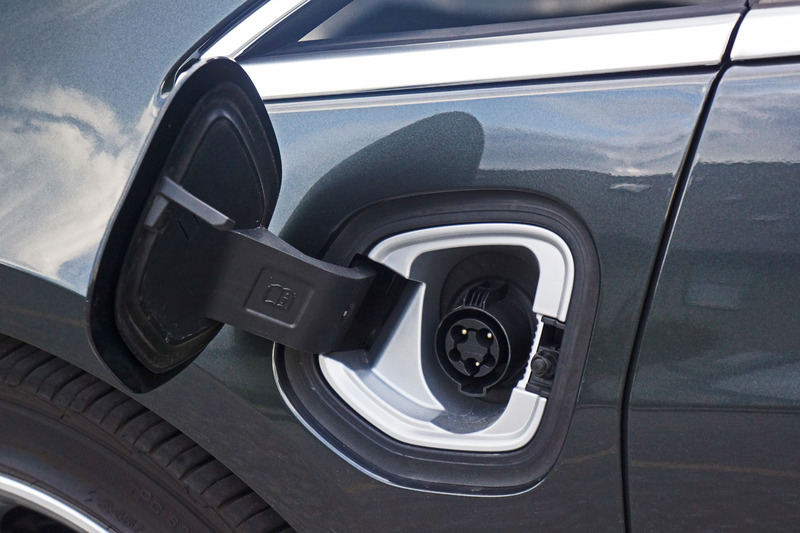 the charge station’s “nozzle” into the car’s socket. 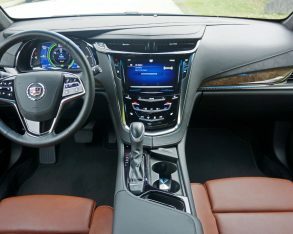 Then, you’ll either need to find somewhere to have an extended coffee break or, like me, walk a few blocks home and lose a few pounds in the process (after a week of trekking back and forth two times per day I trimmed down quite a bit – thanks for the exercise Cadillac). 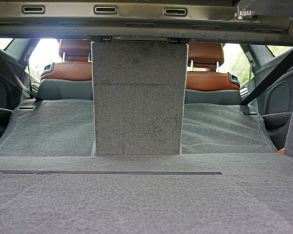 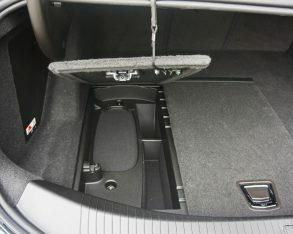 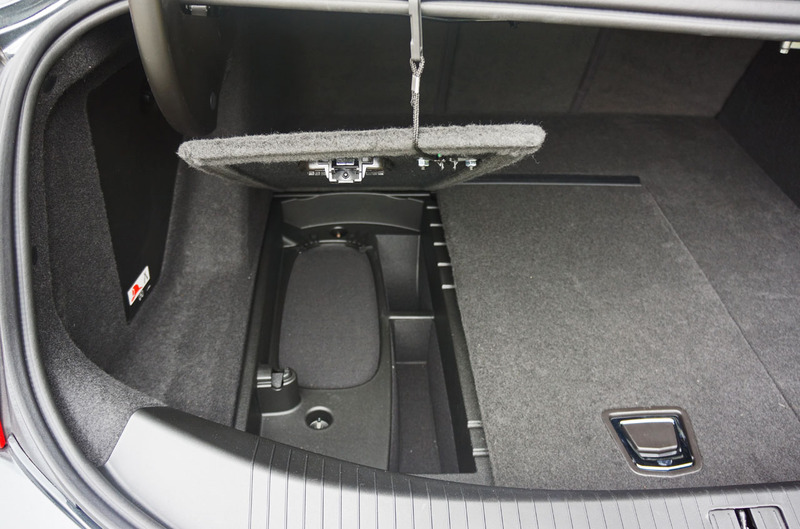 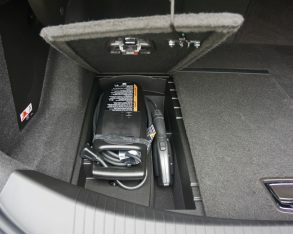 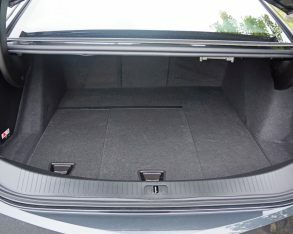 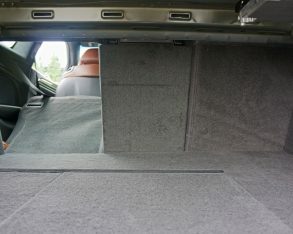 Prior to living in an apartment with no charging capability (newer apartments are being built with car charging in mind), I’d simply pull an extension cord from the exterior socket next to my driveway and plug the car in with its own charging cord found under the car’s cargo floor, but as mentioned this requires more patience. 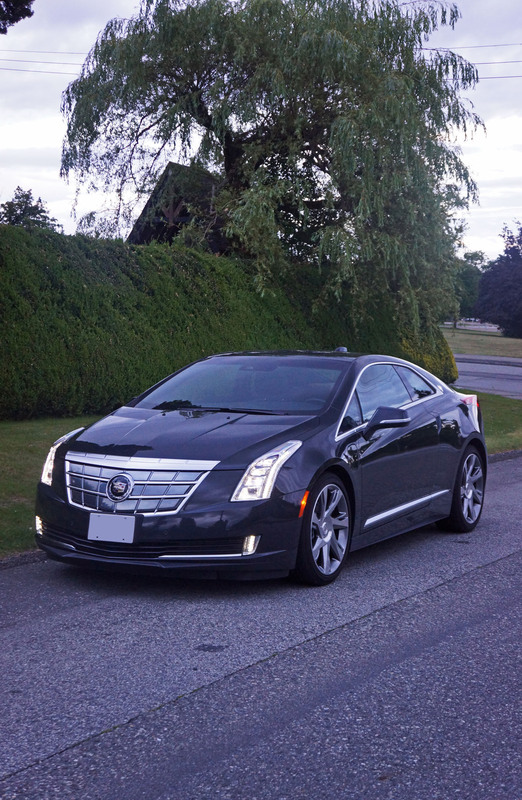 mill purred into action in order to help out, at which point the ELR is theoretically good for another 500 or so kilometers before its tank needs a refill, with 91 octane premium I might add. 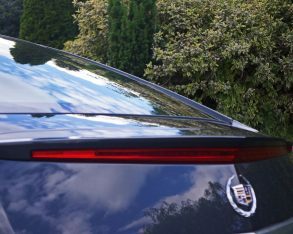 model, mind you, designed to pull in younger buyers that have grown up with an environmental conscience, and are willing to pay for it. 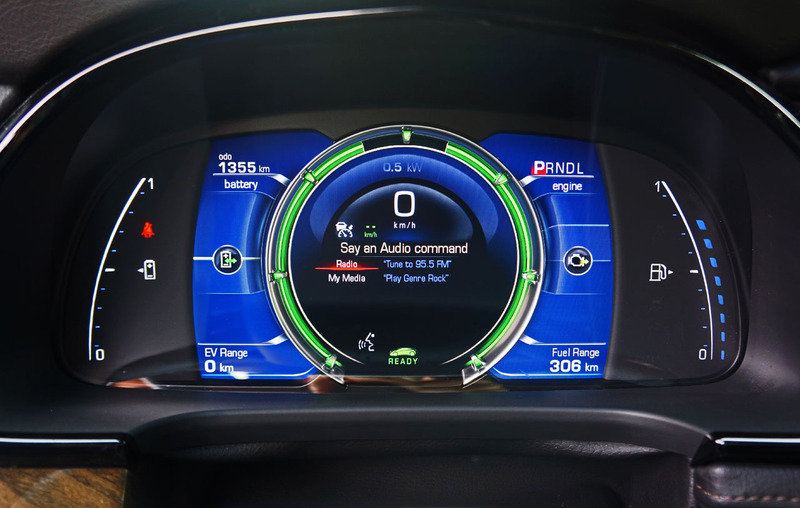 there (GM currently sells an Opel-badged version of the Volt dubbed Ampera in Europe). 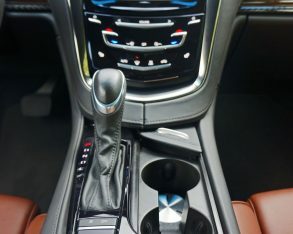 when pushed harder than I initially believed it could withstand, all in all delivering a fun-filled lap that could easily keep me happy on the odd occasion I feel the need to have a little fun behind the wheel. 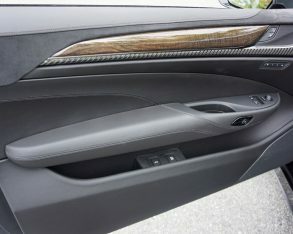 flat for longer items, which leaves a pair of unorthodox but usable 40-percent passageways at either side of a rigid 20-percent panel. 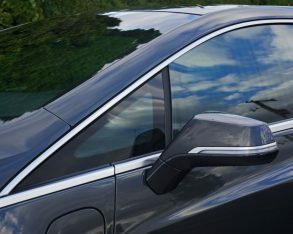 to park. 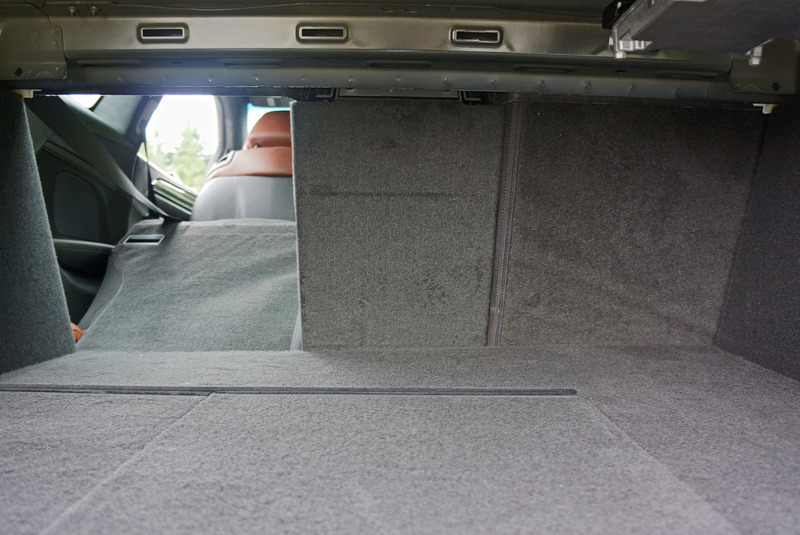 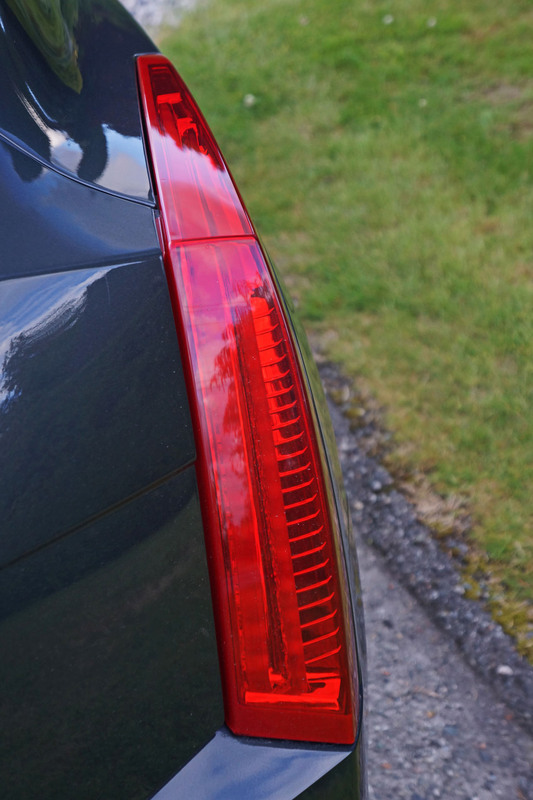 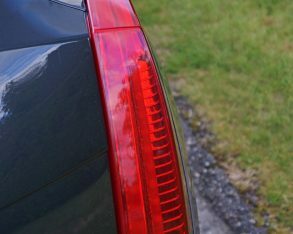 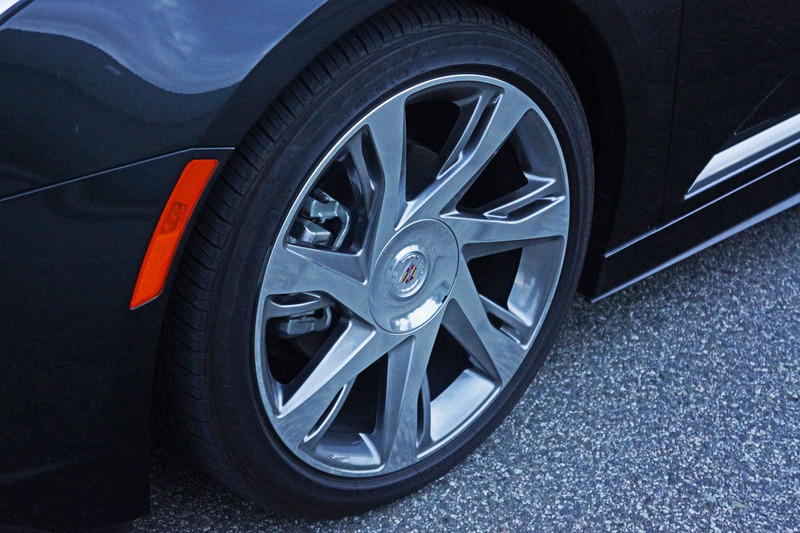 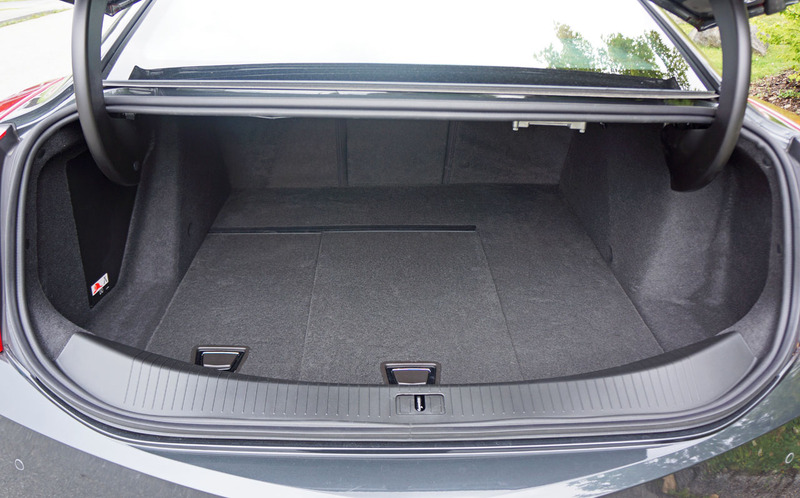 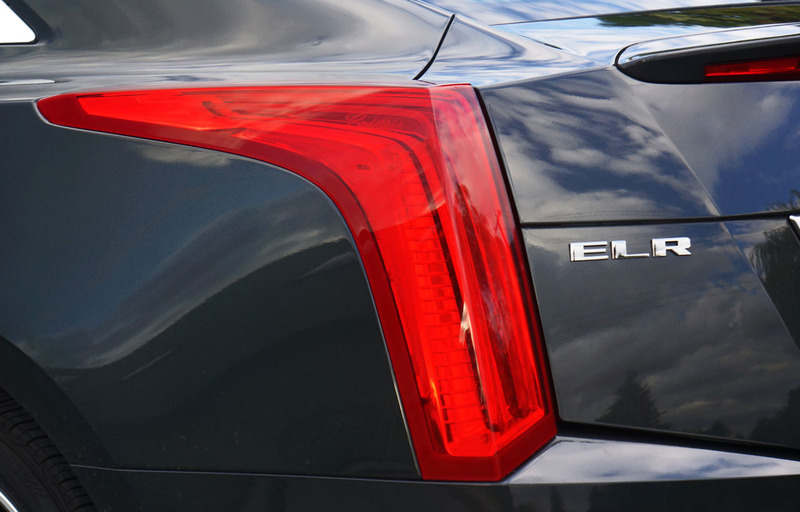 Cadillac needs to fine-tune this system before something worse happens. 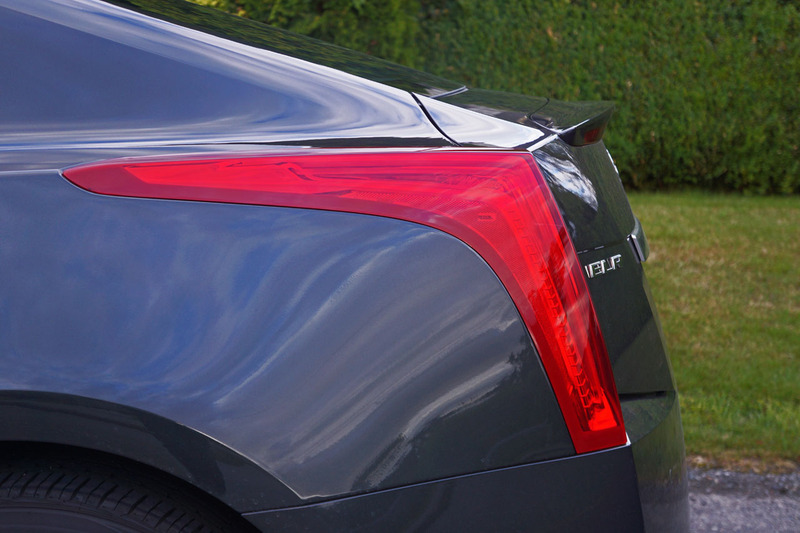 for Cadillac or its dealers, but certainly doing a stellar job as environmental poster child. 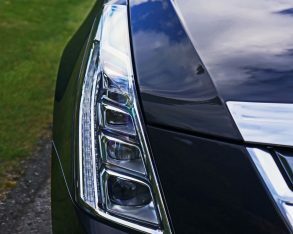 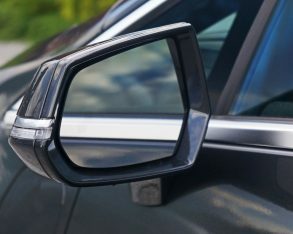 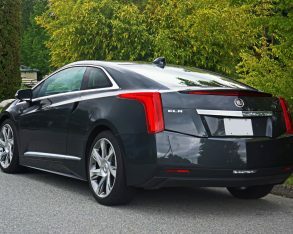 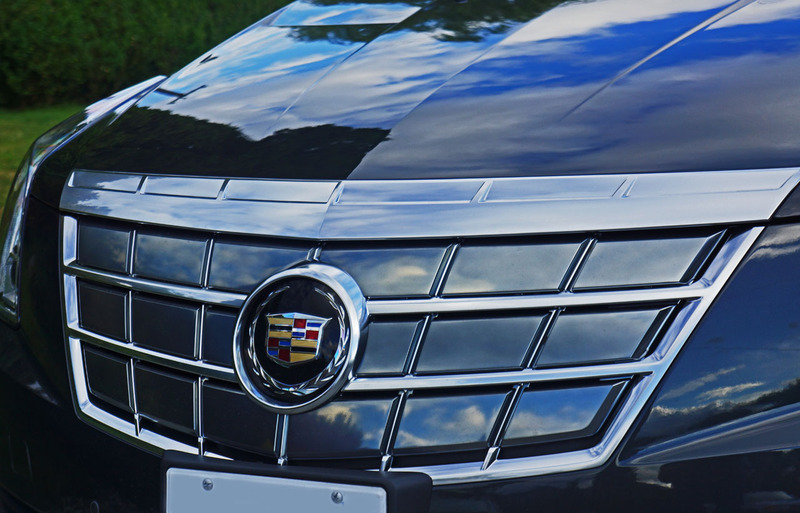 That last reason is why it will likely continue on in Caddy’s lineup despite the aforementioned Allanté and XLR having been dismissed from the ranks for selling in much greater numbers, the former averaging near triple the projected ELR sales during four its seven years of production, and the latter tripling the ELR’s prospective tally for its first two full years and selling much more for the following two, although dwindling into total obscurity towards the end of its six-year tenure. 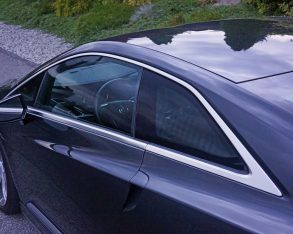 if you’re a collector of modern rare rolling art and want something exclusive that might appreciate (and that’s a mighty big might), by all means pick one up as it’s a truly beautiful and well-crafted luxury coupe that I certainly would enjoy seeing a lot more of out on the street. 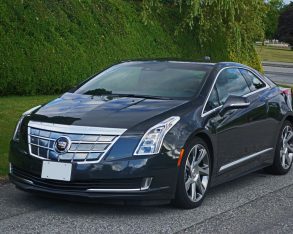 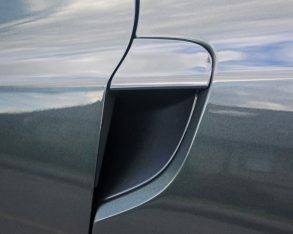 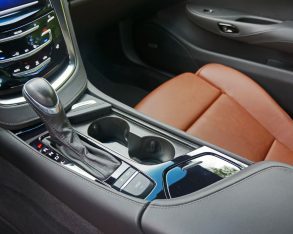 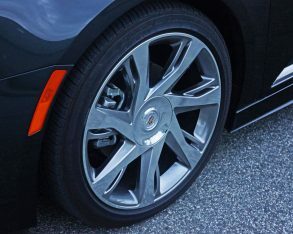 In the end, however, the ELR suffers from the same problem that faced the Allanté and XLR, Chevy’s fabulous Corvette, which sits in the same showroom right next to the electrified Caddy, delivers twice the performance for about $25k less, while its sharply creased styling is at least as alluring. 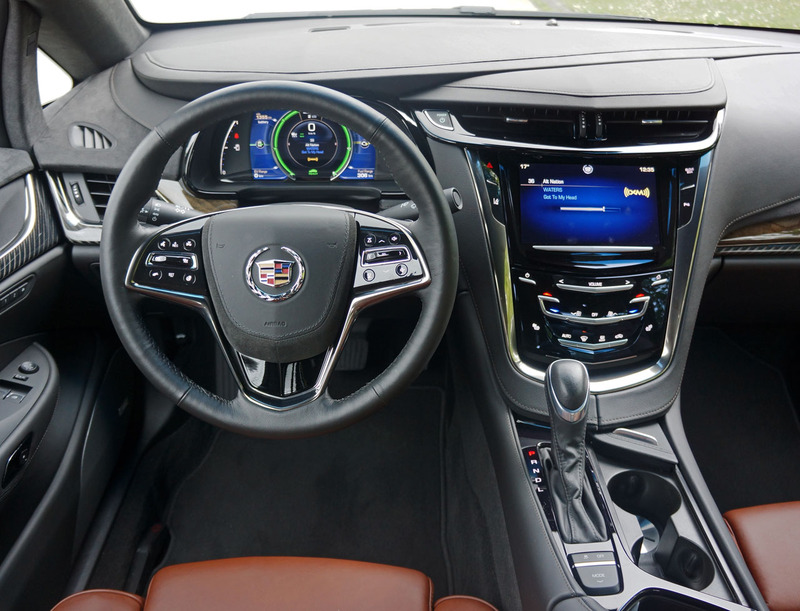 On top of this, Cadillac’s all new 2015 ATS Coupe is now on sale, and you can buy a lot of gas for the $36k difference in price. 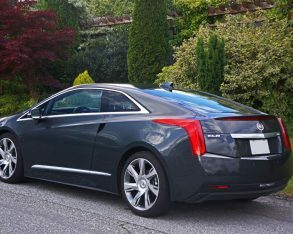 Yes, Cadillac may want to rethink the ELR’s steep MSRP, as it’s a car that deserves to be driven by many more forward thinking buyers than it currently attracts.